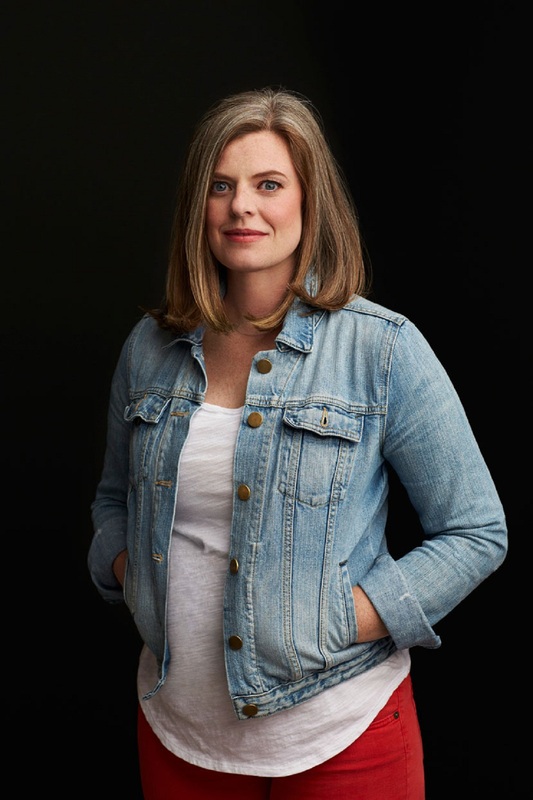 AMELIA VAN HAGEN IS KNEELING on the floor in her bra and a pair of khaki shorts, brown hair neatly split into two fishtail braids, a polo shirt draped over her lap. She smooths it, then gently plucks off a tiny fuzz ball and flicks it away. When Frankie Ko gave her this Meade Creamery polo on her very first day, it was the exact same shade of pink as a scoop of strawberry ice cream. Now, four summers later, and despite the dim morning light of her bedroom, she sees that the pink has faded to a much softer hue, a color closer to cotton candy. There are lots of summer jobs for the teens of Sand Lake and each comes with its own perks. Being a lake lifeguard means your tan lasts until October. The mall is air-conditioned and employees get a discount at the food court. Babysitters can make serious cash, especially if they get in good with the tourists. But Amelia always dreamed of being a Meade Creamery girl. The Meade Creamery ice cream stand has employed all girls and only girls since it opened, way back in the summer of 1945. 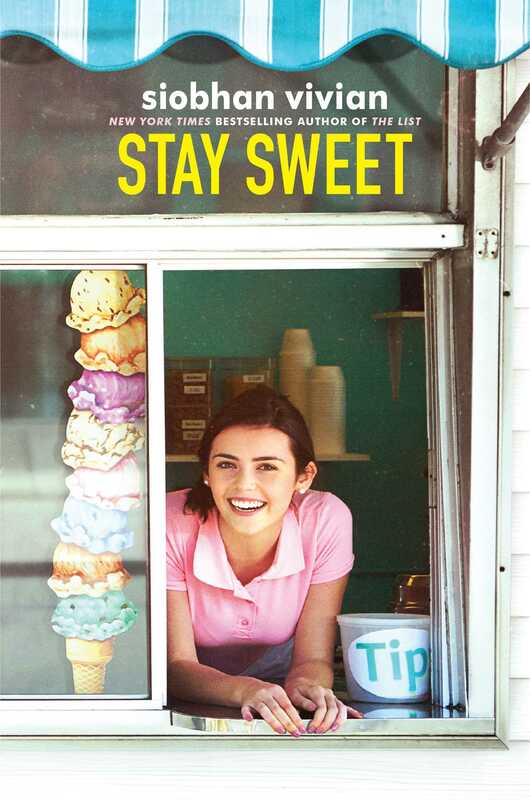 And though the draw of the place is solely the ice cream, each time her parents would take her, and as soon as the line would bring her close enough, Amelia would lift up on her toes and study the girls working inside. Though the faces changed each summer—as the oldest ones left for college and the newbies struggled to keep up with the pace of things—the vibe between the girls stayed the same. Amelia liked how they talked to each other, a mix of codes and inside jokes, how gracefully they moved in such a cramped and frenzied space. How much fun they seemed to have, despite the heat and the crowds, despite their crappy radio with the foil-covered antenna. Amelia pulls the pink polo over her head. It sort of feels like cotton candy too, soft and light from what probably adds up to a billion trips through the wash between her very first day and this one, a Meade Creamery girl’s endless fight against the speckling of caramel dip, of hot fudge, of the bright red juice that the maraschino cherries float in. What hasn’t paled, not even four summers later, is the thrill she gets from wearing it. Frankie Ko handed this very shirt to Amelia four years ago. Frankie was Head Girl that summer, and she had been lying on top of one of the picnic tables, sunning herself while she waited for the newbies to arrive. Her shiny black hair was as long as her perfectly frayed cutoffs were short. She wore ankle socks with little pink pompoms at the heels and she had four, maybe five, woven string friendship bracelets tied around each wrist. She was half Korean, impossibly beautiful, effortlessly cool. That’s how every newbie feels about the Head Girl her first summer, but Frankie, Amelia’s sure, broke the mold. Amelia cringes, remembering with embarrassing clarity how she herself looked four years ago, getting dropped off by her dad, lips slick with the peachy lipstick she’d bought to match her eighth-grade dinner dance dress, hoping it would make her seem older and cooler. Funny that it never occurred to her to remove her retainer, which she was so dutiful in wearing that most of her classmates hadn’t yet realized she’d gotten her braces off. A few weeks later, Frankie pulled her aside and gently suggested that cooler tones might flatter her skin more. She presented Amelia with a new lipstick—a berry red called All Heart—which was a freebie that had come with Frankie’s recent Clinique purchase. Frankie helped Amelia apply it, too, taking twice as long to do it as Amelia did when she put it on herself, and the other girls working that shift nodded in approval. Frankie Ko had made seventeen look the way it does on TV shows—a flower blooming with confidence and beauty and wisdom. Straightening her collar in the mirror, Amelia wonders what this summer’s newbies will see when they look at her, because it feels impossible that she’s as old today as Frankie was then. But prom is over—and graduation, too. Amelia’s opened every Hallmark card from her relatives and put the cash away for textbooks and a cafeteria meal plan and a real-deal winter coat, one that can stand up to the New England nor’easters people keep teasing will probably kill her. Earlier this week, Amelia got an email from her future roommate at Gibbons—Cecilia Brewster, an English lit major, from Connecticut, on a partial tennis scholarship, with a long-distance boyfriend until further notice. After the introduction, Cecilia let Amelia know that she had already bought them a mini-fridge for their dorm room, and so it would be great if Amelia could get them a microwave (see helpfully provided links for style and color suggestions). Amelia’s reread this email so many times. Cecilia seems fine, way better than some of the dorm mismatches she’s heard about when former stand girls drop by for a visit and a free waffle cone. Though she’s drafted some potential replies, she hasn’t sent one. It feels like the starting gun for a race she doesn’t want to run. Unfortunately, Amelia’s last first day at Meade Creamery is undeniably the beginning of the end. “I know, I know.” Amelia says it as quickly as she’s moving now, standing up, taking her tote bag off the back of her desk chair, wriggling her feet into her Keds. “I guess I forgot to put it on.” Amelia blushes because she is a terrible liar and makes for the bedroom door. With a halfhearted shrug, Amelia goes to her jewelry box. Inside, mixed in with her nicer jewelry and the tassel from her graduation cap, is a gold flower pin the size of a Snapple cap, a clear rhinestone anchoring the petals. She hasn’t touched it for nearly a year, not since it was given to her last August. The girls were celebrating the end of the season with a sleepover down at the lake, a Meade Creamery tradition. Amelia was standing next to her half-set-up tent, having temporarily given up on putting it together in favor of using bits of broken sugar cone to scrape out the streaks of chocolate from their last remaining drum of ice cream. Heather, who was Head Girl last summer, had just picked up the final paychecks from Molly Meade’s farmhouse and was handing them out. She paused when peeling Amelia’s from the stack, a funny look on her face. Then she shook the envelope so Amelia could hear the clinking inside it. Amelia froze. A drip of chocolate rolled down her forearm. Stiffly, Amelia did as she was told. She chased the drip with her tongue, put the bite into her mouth, and forced a swallow. Setting the cardboard drum in the sand, she snuck a look over to the campfire and watched Cate, in a baggy sweatshirt worn over her bikini, toss on another log, sending up a burst of sparks. The other stand girls huddled around her, faces glowing. Amelia opened the envelope. Inside were her check, the flower pin, and a key to the ice cream stand. Though it may technically have been true, it didn’t feel that way to Amelia. Ever since their first summer at Meade Creamery, Amelia had believed Molly would choose Cate as Head Girl when the time came. Definitely Cate. A thousand percent Cate for a thousand and one reasons. And Amelia wasn’t alone. She could see it in Heather’s face, the surprise at how this was playing out, because Cate was the fun one, the girl everyone loved being around. Cate must have realized what was going on while Amelia was talking to Heather, because she came sprinting over and wrapped Amelia in a big, bouncing congratulatory hug. Amelia still doesn’t know how long it took Cate to come to terms with not getting the Head Girl pin, but it pains Amelia to think of Cate hurting over it, even if only for a millisecond. And yet Amelia finds Cate’s excitement for her right now only slightly less excruciating, as Cate leans forward, her chin in her hands, waiting. “How about I wear it on opening day? That way, it won’t get messed up,” Amelia says, hesitating. Amelia starts to protest, “It should be you,” the way she has countless times since getting the pin. Cate’s usually good about letting her get this perceived injustice off her chest, and Amelia always feels better afterward. Like she has voiced a truth that, deep down, they both know. Amelia glances over her shoulder at Cate. For the rest of Amelia’s life, she knows she will never find a friend better than Cate Kopernick. Amelia laughs, because again, yeah right, until, finally, she looks, focusing not so much on herself as on the pin. Though it’s small, it really does sparkle.